With your own wedding website you can communicate more info to your guests and help them with accommodation and more. Your guests can also RSVP from the website, making your admin much easier. 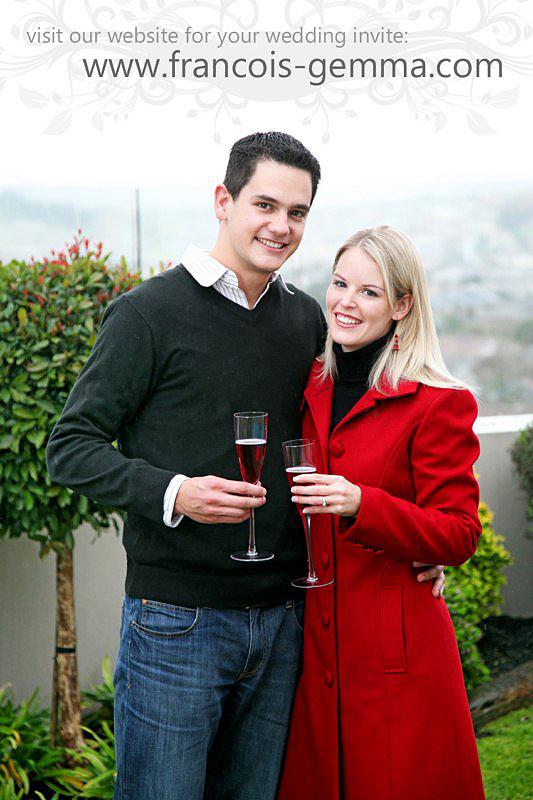 Wedding invitations can cost anything from R25-R50 per invite (R2000 + for invites). With this website you can actually save money. You can send a card like the bottom one to invite your friends to your own personal website. If you are interested in a website like this for your own wedding, contact me for the diffrent options. WOW, what a great option. I wish I knew about this before my wedding, would have made things much better and personal. What a great idea. I love it. How much will something like this cost? ?